Start by identifying the main function of the bathroom. Each bathroom plays a unique role in the home and will therefore demand specific requirements. For example, you may wish to add a freestanding bath to your family bathroom whereas a toilet and basin is the only necessity for a cloakroom. How many people using the bathroom may also contribute to your design and your product selection. If you have a large family, a double basin vanity unit could make those morning routines more efficient whilst a combined bath and shower will also help to save on space if room is restricted. If you have a particular item or feature wish list that you want to incorporate into the design, begin to think about how you want to make that work with the space available. It is worth noting at this stage that some bathrooms simply don’t have the space for every bathing option so it is important to make a checklist of the solutions that are really important to you and how you want to use your bathroom. Are you looking to induce a relaxing, spa-like experience or do you require a more practical yet on-trend solution? Identifying the primary purpose of your bathroom will distinguish what sanityware, fixtures and fittings you look to bring in. A centrepiece freestanding bath could be the perfect addition for your luxurious, spa-like setting whereas removing the bath in favour of an enlarged walk-in shower area may be the ideal solution to suit your needs. 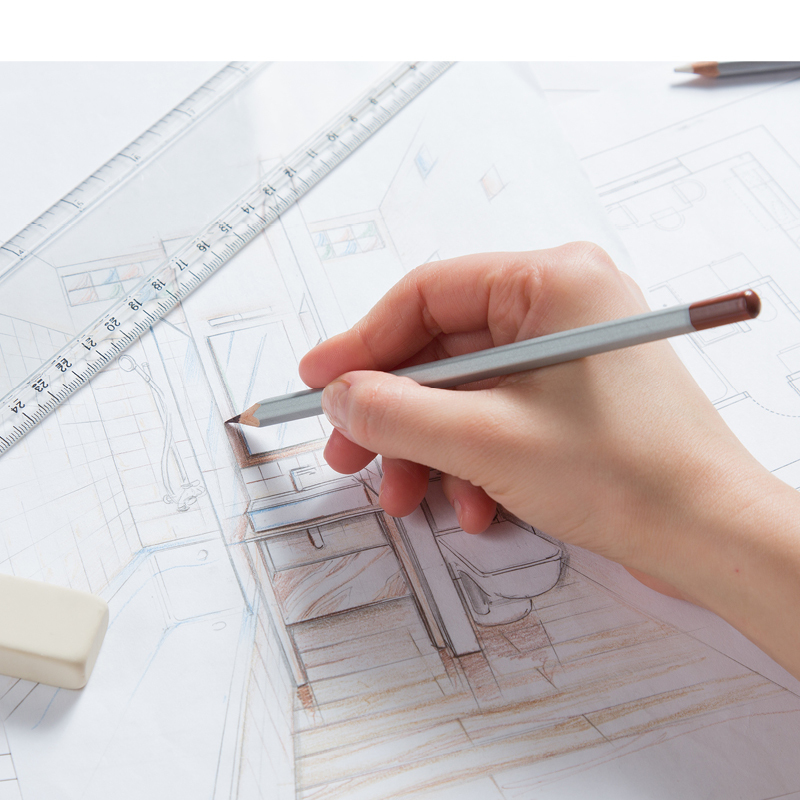 Once you have a design in mind, it’s important to sketch out any ideas to work out what is viable; especially if you’re refurbishing an already existing layout. 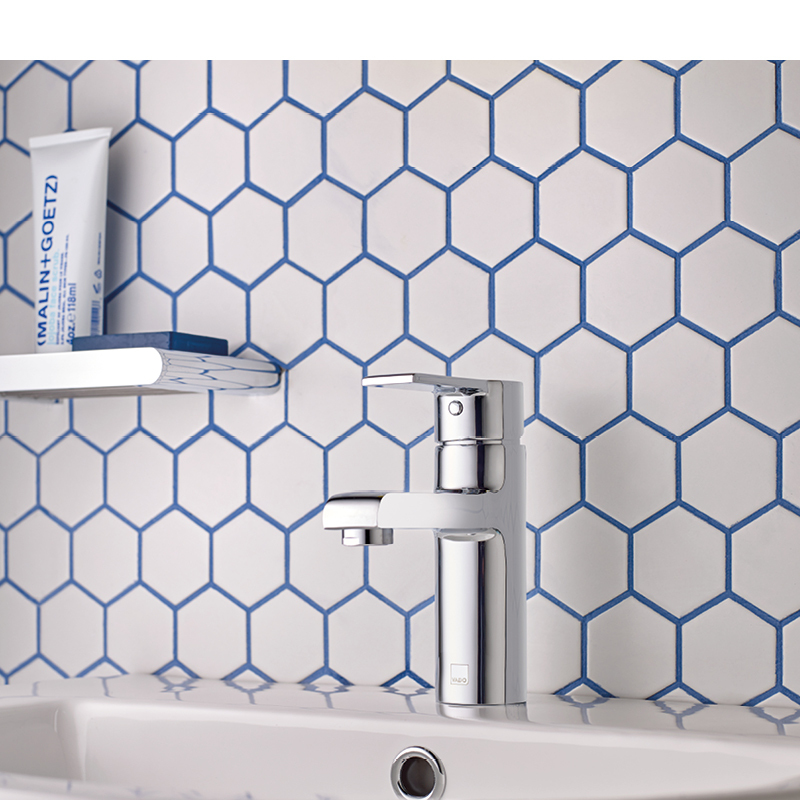 Using graph paper to accurately display exact measurements will help you to select and position any fixtures, fittings or bathroom sanitaryware. When sketching your design, make sure you consider all doors and windows and factor in the bathroom’s piping lay out – a new shower without a water connection won’t be much use! Sometimes changing a room layout just for the sake of it is an expensive exercise, if the current layout works, it will be a cost-effective solution just to update all of the fixtures and fittings which will still deliver that new bathroom look. However, some bathrooms have been so poorly designed in the first place that this simply isn’t an option. 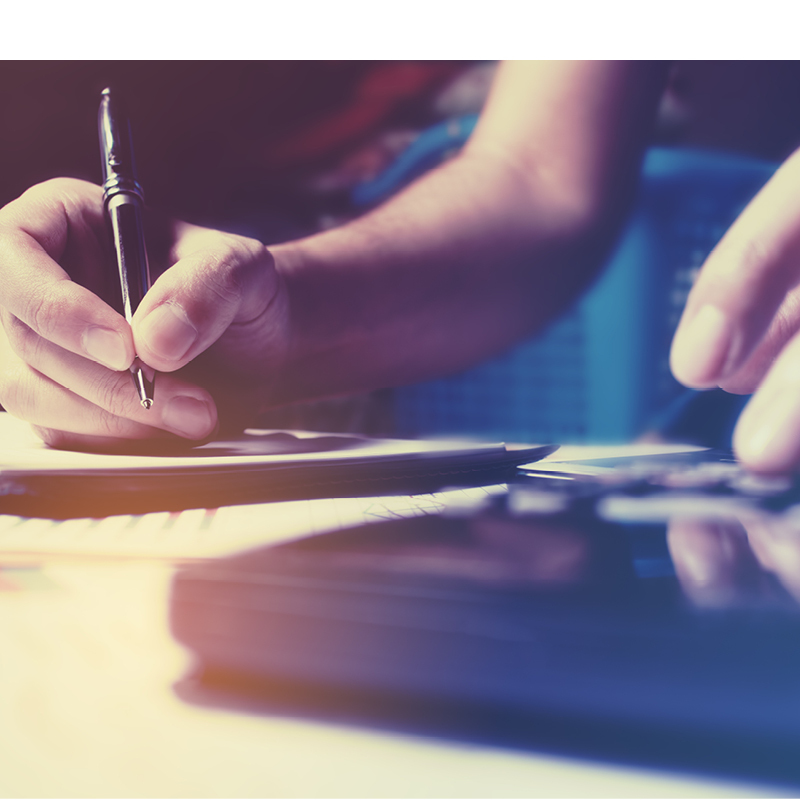 Having a pre-planned budget will make your search for fixtures and fittings more efficient so you don’t overspend, whilst enabling you to prioritise where to allocate your spend and where to save money. Baths, showers and basins often require the most investment, however creating your dream bathroom doesn’t have to break the bank. With a variety of taps and showers available at different price points, knowing your finalised figures will aid your bathroom brassware selection. Pay special attention to how the taps and showers feel as these are the products you will come into contact with everyday. Once installed, a marble tile will not look that different to a printed tile, but you will notice a wobbly tap handle if you sacrificed your brassware budget for the real marble aesthetic. If you’re struggling to decide what type of bath or shower you want and how to lay out your dream bathroom, visiting a local showroom might be the most useful decision you make. Don’t forget to lie in the baths on display to see which one you could unwind in it at the end of a long day! 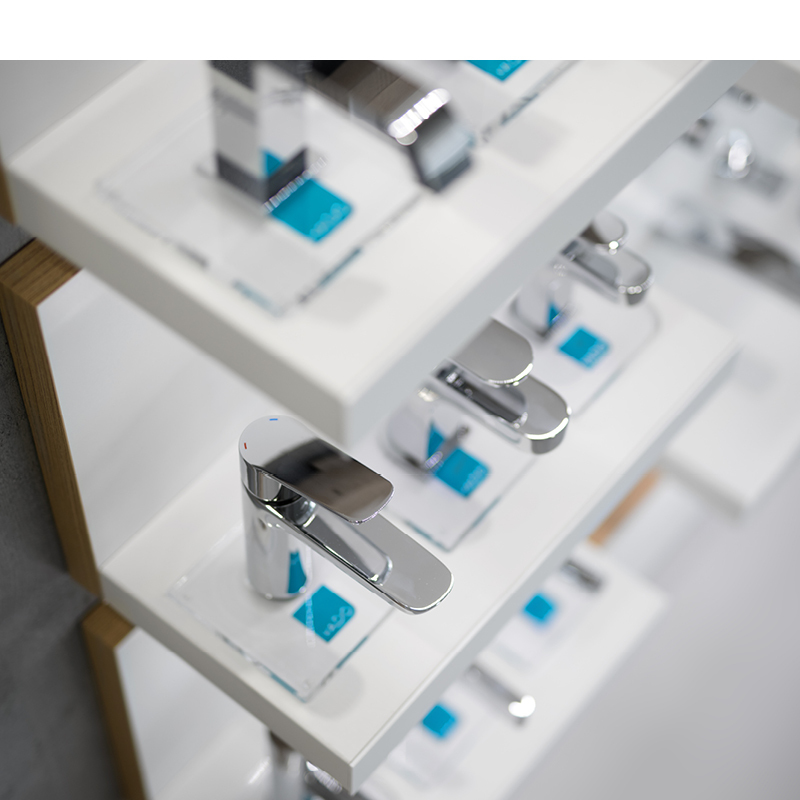 With a whole host of sanitaryware ranges on display, a trained bathroom expert can share their knowledge on what products are best, offer new ideas to enhance your design or may just provide the reassurance you need to make your design work. 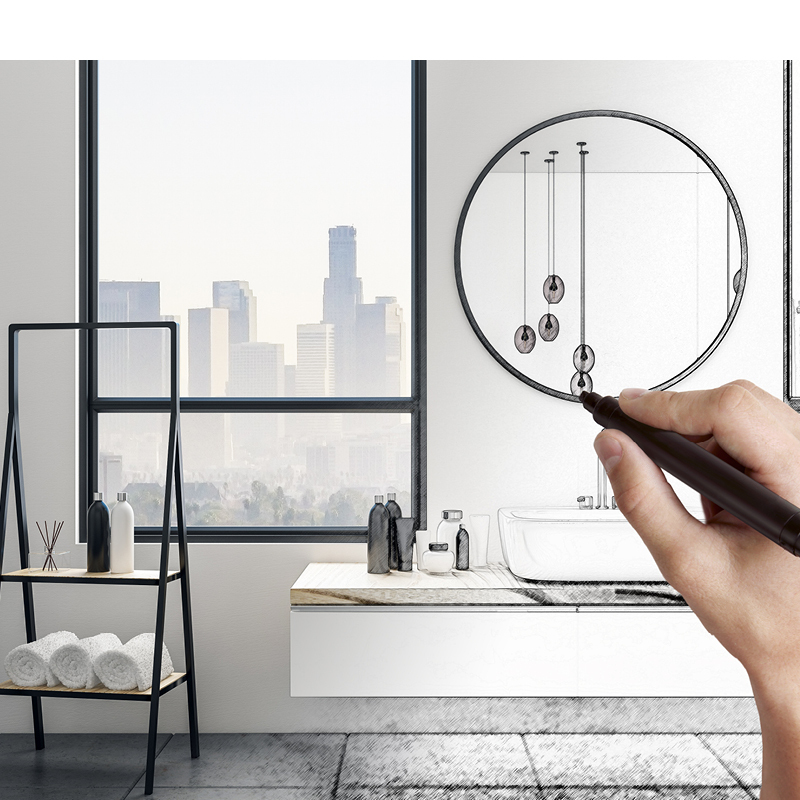 Many verified VADO independent retailers now use computer software to generate a 3D digital bathroom based on your design and chosen products, allowing you to view a visual representation of your bathroom design. Click here to find a VADO stockist near you. 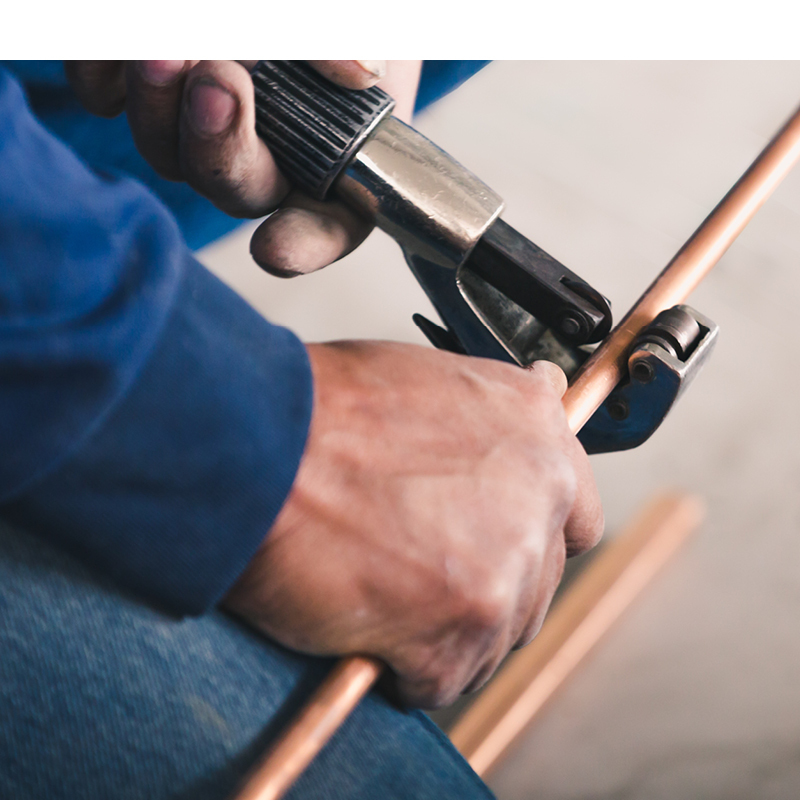 Whether you’re planning a large refurbishment or making cosmetic changes to your existing bathroom, finding local and reliable tradespeople will make the task much easier. Finding a person or company who you can trust and is committed to completing the job is vital in ensuring the final finish you desire. Speaking to friends, family and neighbours before deciding on your chosen fitter can really help as they will share their honest experiences with you. Even if you lack that creative spark, decorating your bathroom should be exciting and enjoyable. With the bathroom quickly becoming the nucleus of the home and a vital factor in determining the home’s resale value, decorating your bathroom with the best possible finish has never been so important. As the foundation to this process, make sure you consider new colours, textures and patterns. With an almost unlimited range of options available, flicking through magazines and looking online will help to inspire your decision making and may just present some positive ideas that weren’t previously considered. Once you’ve found something you like, try creating a mood board. A fun and simple way of putting favoured colours and patterns together, mood boards will also give you a chance to coordinate any desired fixtures and fittings. As this is a room you will use everyday it is important that you love the design and the décor. If you have any personal preferences or features you want to include, look at how you can make that work with your chosen colour scheme. If you’re unsure, seek advice from an interior designer as they may have the solution to make your ideas come to life. Being imaginative with your bathroom design is certainly encouraged, however there’s a fine line between glamourous and overkill. The key is not to make your bathroom design clash with the style of the home or the interior; an ultra-modern, minimalist bathroom might look out of place in a 18th century home. 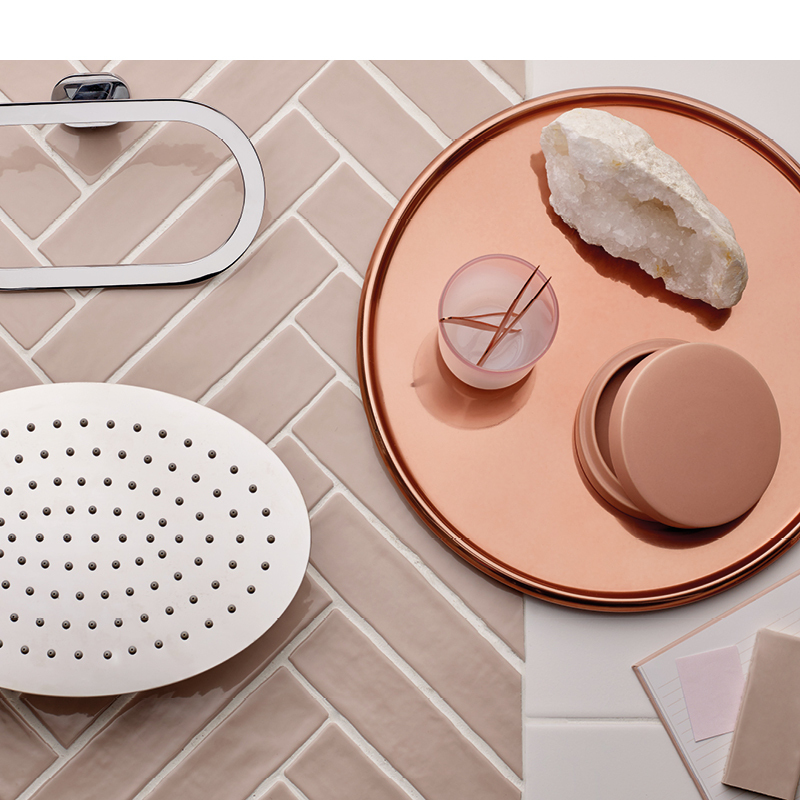 There are many design trends which can really make your bathroom stand out, so if you’re looking for something fashionable and a bit off the wall, industrial, traditional and minimalist aesthetics are just some of the many design trends you could explore. As bathrooms come in all shapes and sizes, certain styles might suit your bathroom more than others therefore it would be beneficial to look around for a trend that is most suitable to your bathroom. As there is a lot of work and investment involved in a new bathroom, they are not updated as frequently as a lounge for example which can easily be refreshed. We know how easy it is to get stuck with a bathroom that was once on trend; you only have to say avacodo suite to appreciate the horror that the 1970’s left in some homes. The avocado suite could be the reason why people are more careful with the schemes they undertake. If you aren’t going to be replacing the bathroom in the next 8 years it is always sensible to commit to a scheme that you could refresh with little expense. 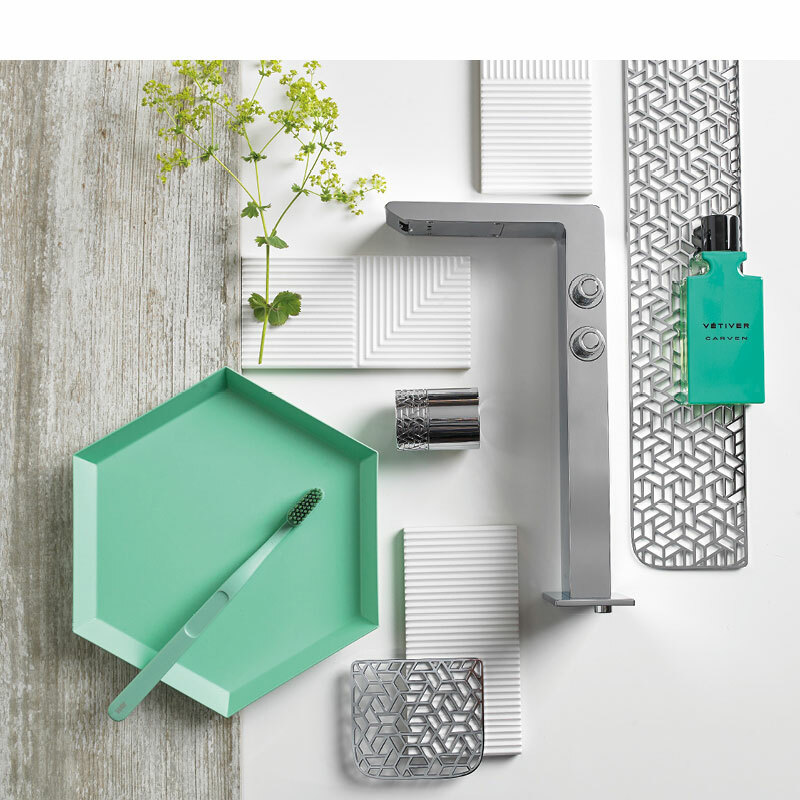 With this in mind, you should choose a neutral tile with classic white sanitaryware but inject colour with vivid towels. Remember, it’s the finer details which truly makes each design successful. 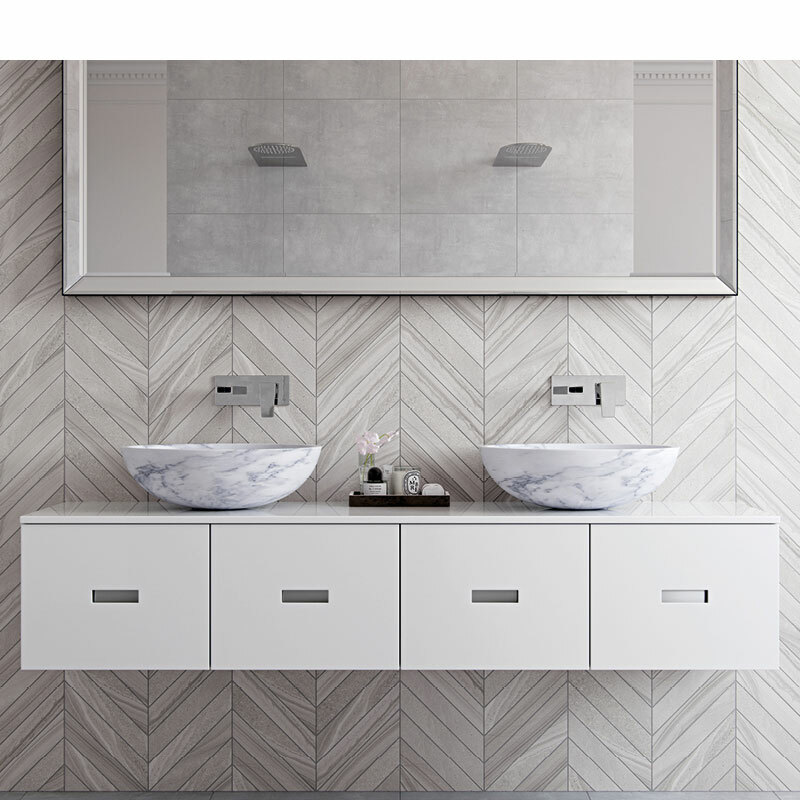 Click here to view our favourite contemporary bathroom trends. A simple way to transform your bathroom is to change the colour scheme. What colour you choose may also contribute towards a chosen design trend, with bright tones used to invigorate the bathroom and darkended shades offering a more modern look and feel. Try not to stick to one colour as you don’t want to merge every design detail together. 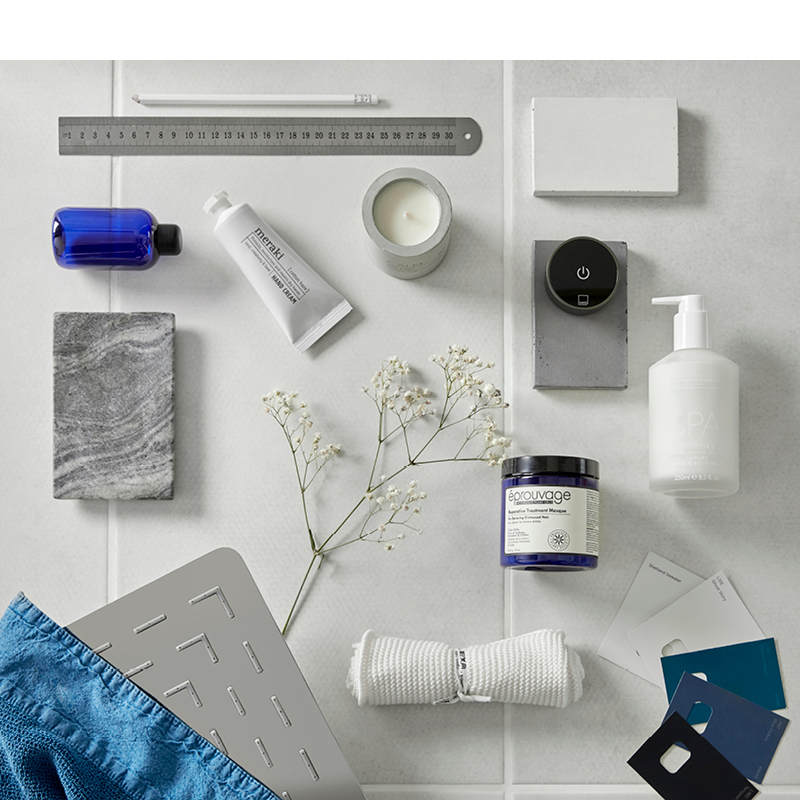 Look at how complementary colours can help your favourite bathroom features stand out, for example a wall tiles’ coastal blue becoming the base colour for all accessories to contrast the off-white sanitaryware and flooring. Equally, incorporating contrasting primary colours can inject that daring flamboyance you require to create a more striking bathroom aesthetic. Such colour schemes lend themselves to creative patterns and textures; it might be worth viewing a mood board before committing to such a design! Once you have selected the design and décor that’s right for you and your bathroom, you can now begin to think about selecting your fixtures and fittings. However before you search for your ideal brassware, it’s worth considering which finish could most complement your bathroom design. Although chrome is the perfect choice many interiors, other finishes such as gold and nickel variants could add that subtle personality, complementing your colour scheme and sanitaryware. Whilst polished gold can add hints of colour to more luxurious or daring designs, a nickel finish could provide the finishing touch within a reclaimed, industrial setting. 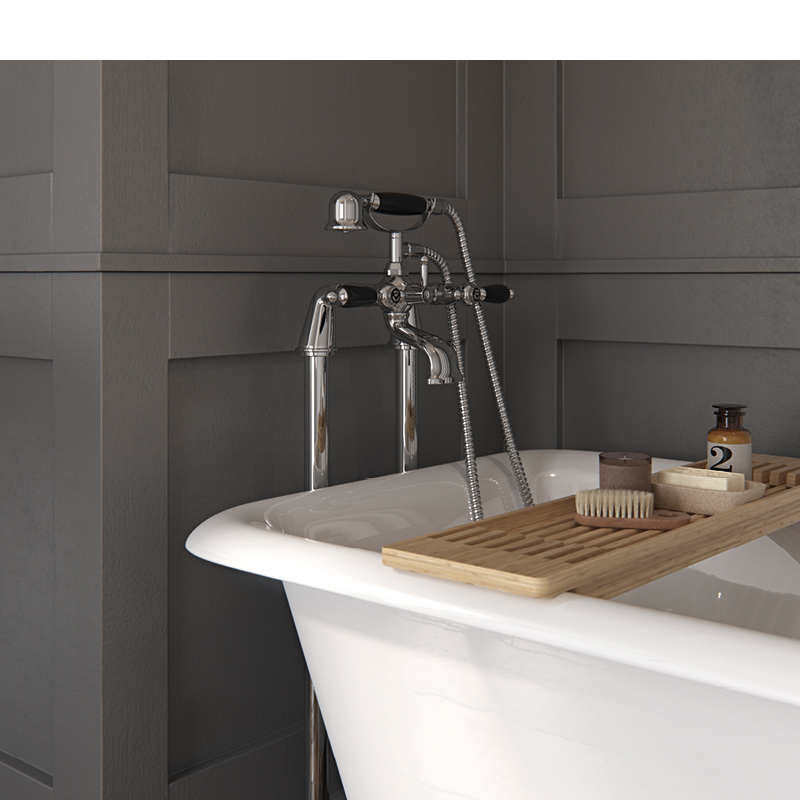 With taps, showers and accessories available in a variety of finishes, it’s always worth finding the colours and products that match your bathroom ambitions. 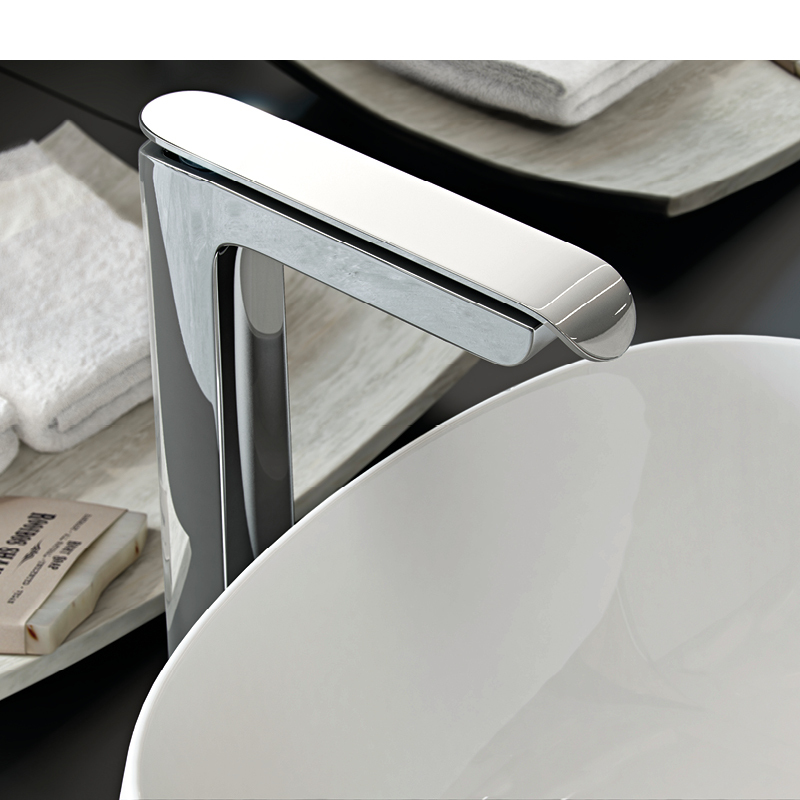 Selecting the perfect tap to complement your sanitaryware can effortlessly transform your bathroom. Before you started the journey of creating your dream bathroom, you were no doubt blissfully unaware of the different types of tap that can deliver water to your bath or basin. 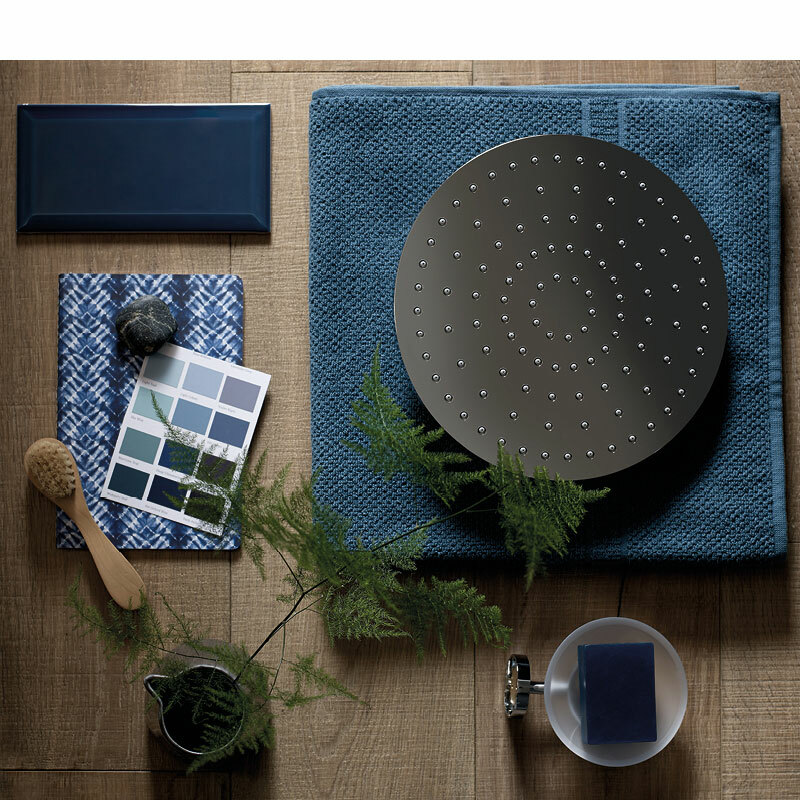 Tap Talk will demystify the different types available to enable you to make the right product selection for your home. The most popular type of basin tap available today is the mono basin mixer tap or monobloc mixer tap as they may be referred as. These need one tap hole in a basin and have a single spout which mixes the hot and cold water before delivering it, with the handle(s) controlling the flow and temperature of the water. VADO have a mono basin mixer to suit all modern and traditional design tastes and budgets, making them suitable for any bathroom design. The way the tap fits onto a basin must conform to a British set standard, so you can be assured that you can fit your chosen tap to any type of basin you select, so long as it has one hole pre-drilled into it. As the trend for countertop and bowl style basins continues to grow, a tap option that complements this basin style becomes necessary; this is where the extended or tall mono basin mixer option comes in. Boasting the same features and benefits as a normal mono basin mixer, the extended mono is a taller version to allow the tap to be mounted onto the worktop or vanity unit rather than the basin itself. This is a stylish look in the modern home as it allows the basin area to look more refined and streamlined. As the countertop or vanity unit will not be pre-drilled, this option gives you the flexibility of where you would like to position the tap, normally either behind the basin or to the side; the choice is yours. The important things to consider when selecting this tap type is to make sure the tap is tall enough for your basin and that you have enough room on the counter to fit. If you are unsure, your local independent retailer, plumber or fitter will be able to recommend the right tap for you. 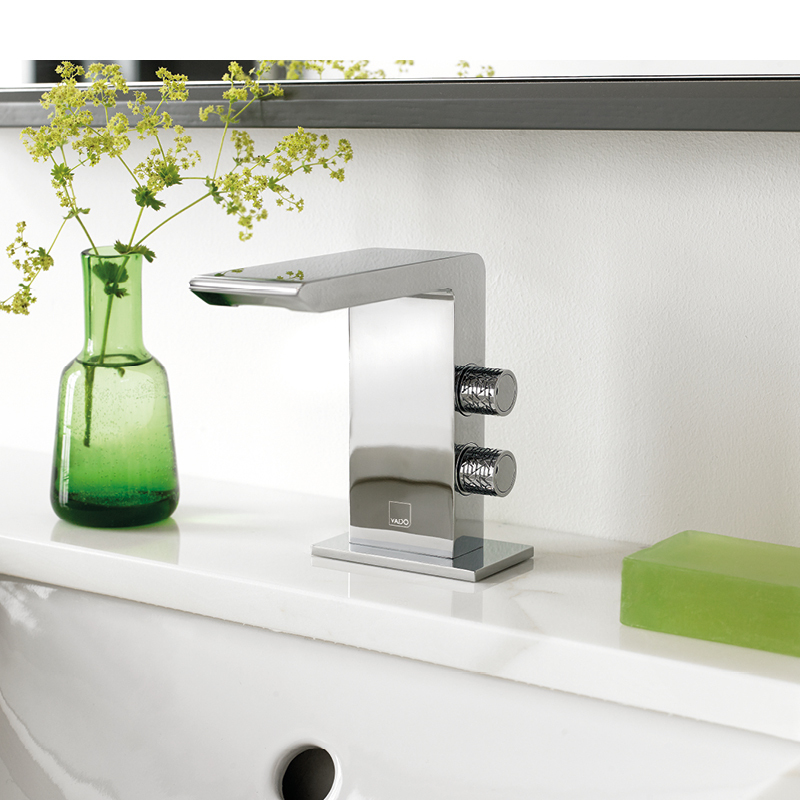 For a truly modern and extravagant design statement for your bathroom, a wall mounted tap could be the option for you. As the taps are mounted onto the wall rather than the basin or countertop, the basin area will look bigger and clutter free. A look that was up to a few years ago only found in the most luxurious of hotels and spas is now available for your home. 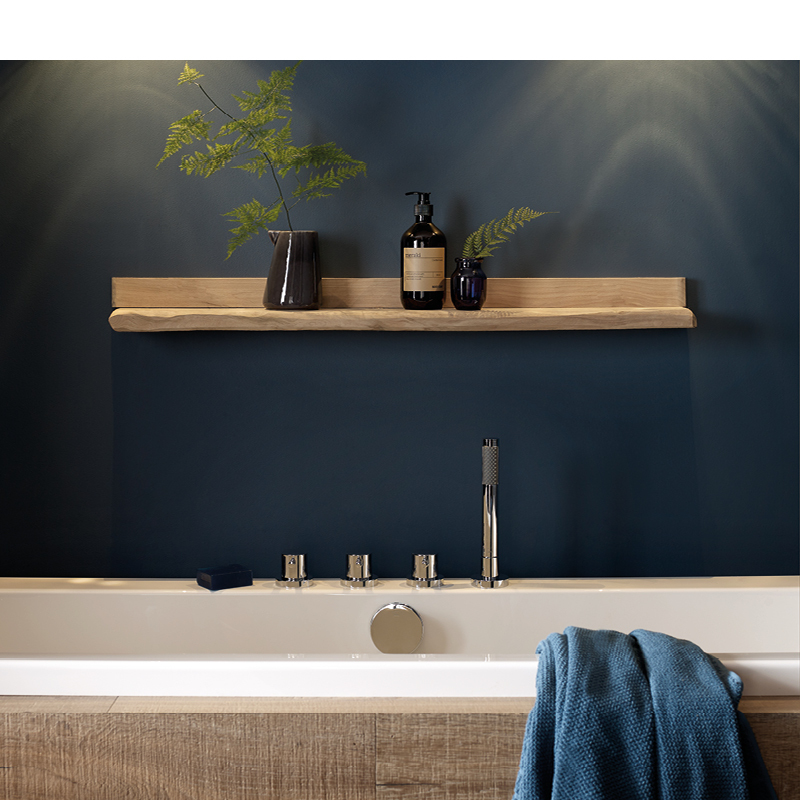 Not only do wall mounted basin taps look fantastic, they are practical too. With a variety of styles to choose from, from two handled versions for independent hot or cold water control to ergonomic single levers with or without backplates, the water is effortlessly mixed and delivered. 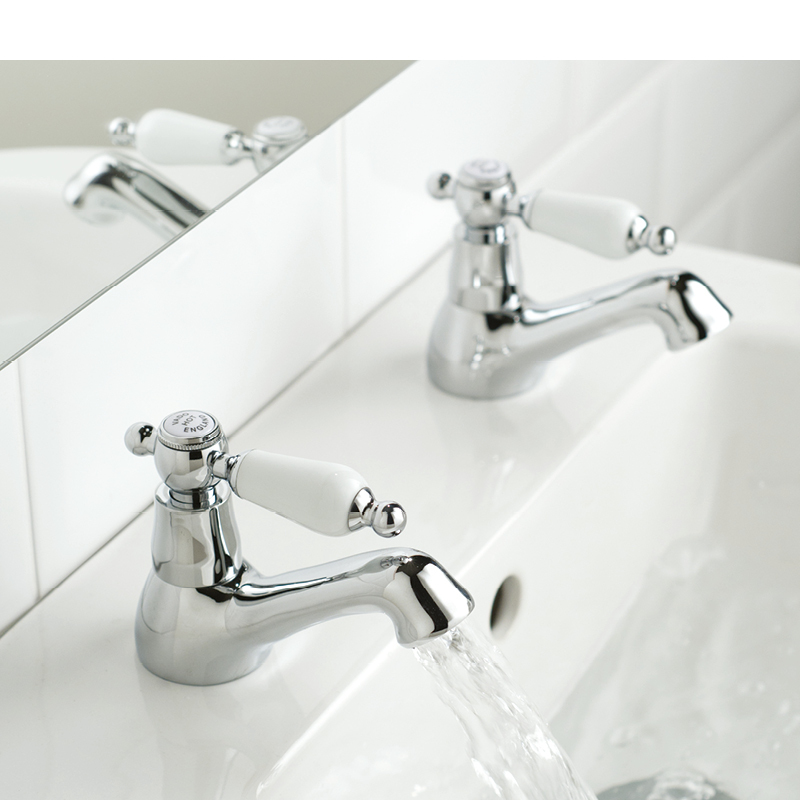 VADO have a wide range of wall mounted tap options available to suit most budgets. The main consideration here is the cost to install as it is a slightly longer process for your plumber than a conventional tap choice. Pillar taps are two individual taps; one for hot and one for cold. A common choice for traditionally inspired bathrooms, pillar taps also feature in homes which have not been updated for a number of years. Although a great choice for filling a basin, they aren’t the most user friendly for handwashing as one tap dispenses cold water and the other dispenses hot, so you have to mix the water in your hands which isn’t the best option for a young family. Pillar taps do have their benefits as they are ideal for achieving a traditional look and feel and are ideal for homes with very low pressure. Perfect for larger basins, the three hole basin mixer comprises of three separate elements; a spout and two separate handles that control the hot and cold water respectively. 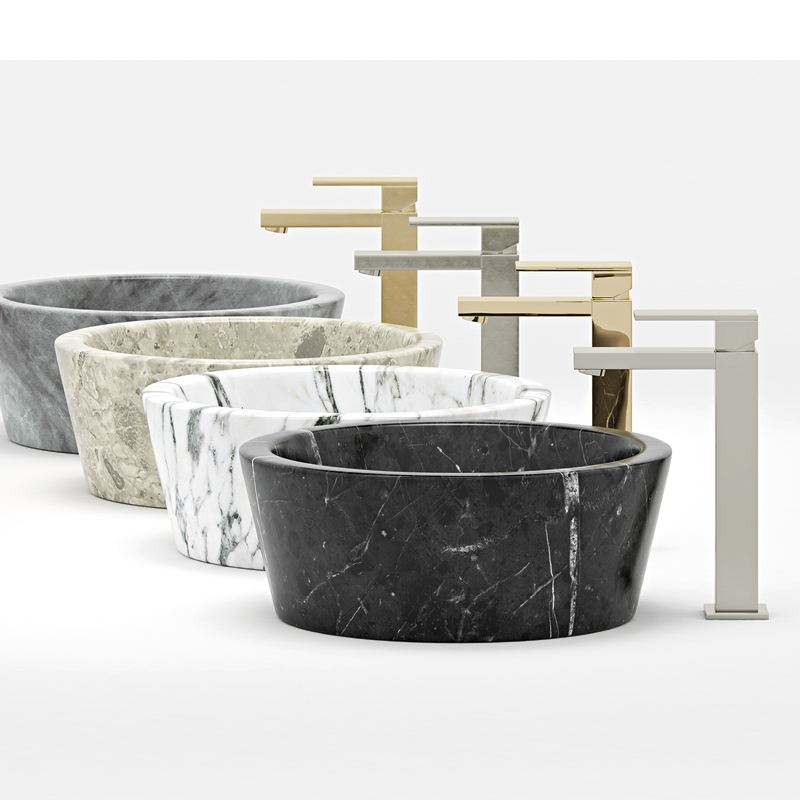 With a range of designs available, this basin mixer can be incorporated into both modern and traditional designs. Despite having two separate handles that are disconnected from the spout, this product still allows you to mix the hot and cold water to allow you to find the perfect temperature. Designed mostly as a stylish and economic solution for hotel, leisure and commercial bathrooms, infra-red taps successfully integrate modern technology into new and already existing mono basin mixers. 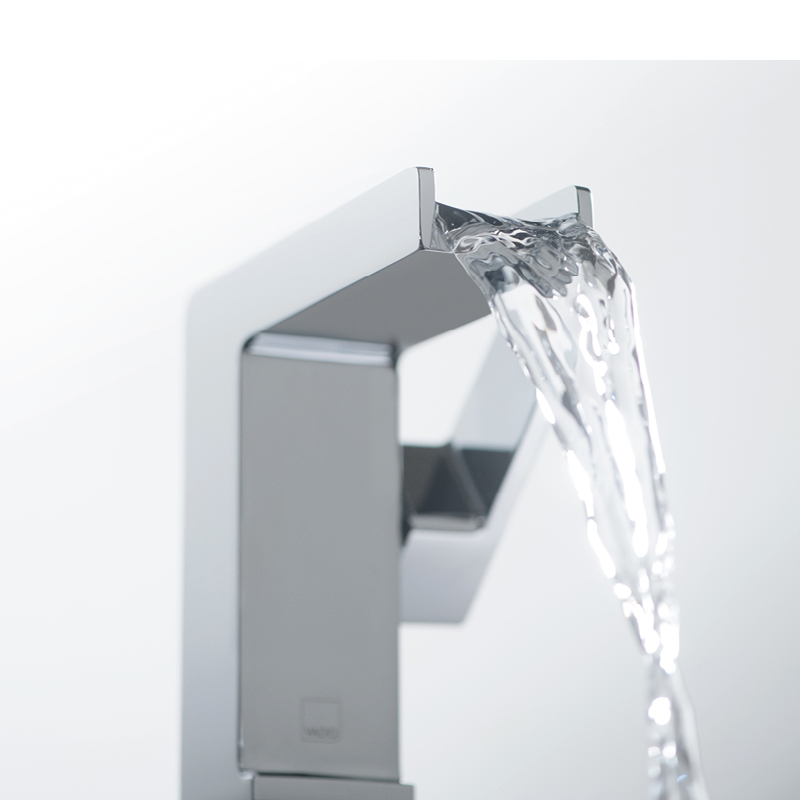 Similar to a conventional mono basin mixer, infra-red taps use a single spout to deliver mixed hot and cold water to a basin. However, unlike other tap designs, the water is control by an infra-red sensor which only enables water to be delivered if your hand is present in front of the tap, meaning contact with the fitting itself is not required. This advanced method of using a tap is far more sustainable than the conventional tap, reducing water consumption whilst saving money and energy and are a popular choice for the cloakroom. 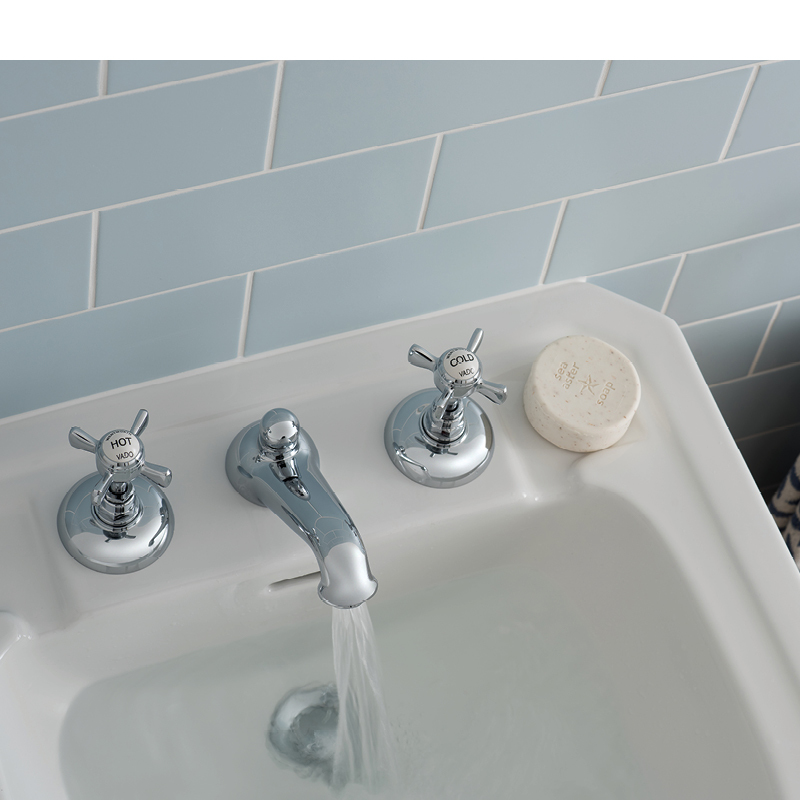 As most standard baths are pre-drilled with two holes, one of the most popular tap choices is a bath filler. Providing a contemporary alternative to a pair of pillar taps, this efficient bath filling solution allows the water to mix within the body of the tap before being delivered allowing enhanced temperature control as the water is pre-mixed for you. Unlike a pair of pillar taps, this bath mixer features a hot and cold tap which is bridged with a connecting spout to offer a sophisticated design aesthetic and are available in a range of styles. 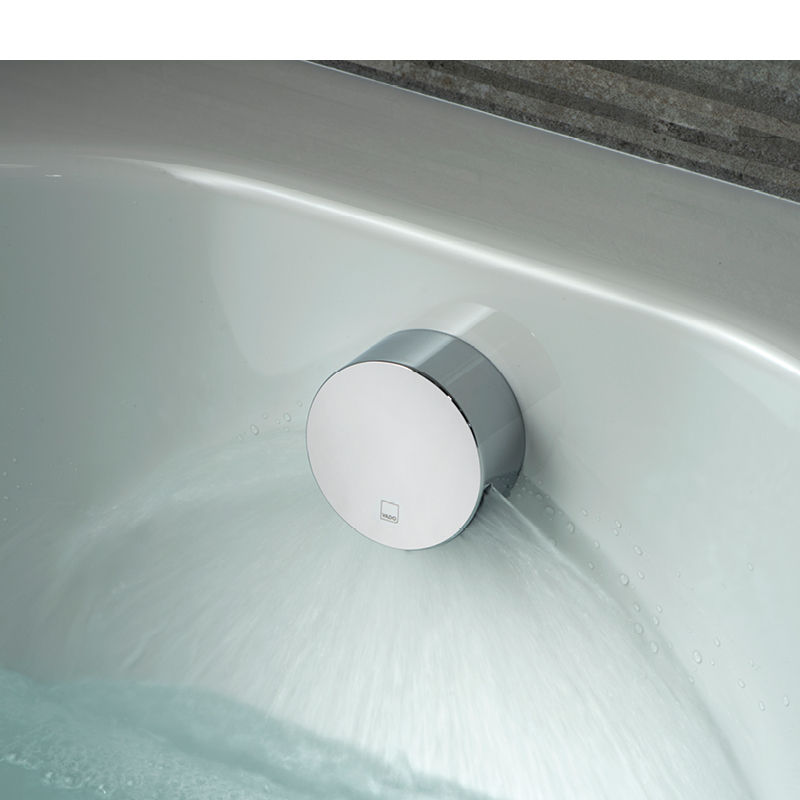 A bath shower mixer boasts similar design characteristics to a bath filler tap, providing mixed water through a single body, however a bath shower mixer also features a shower handset. This shower handset can be controlled by a built-in diverter, to provide the added benefit of rinsing your hair during your bath. A perfect product choice for you if you don’t want a full shower set up over your bath, as it is conveniently two products in one. A floor mounted, freestanding bath shower mixer is the ultimate design statement to complete a luxurious, design-led bathroom and is the perfect accompaniment to a freestanding bath tub. VADO’s freestanding bath shower mixers come with an adjustable-upon-fit base, to allow the spout to be perfectly aligned over the bath once installed. The body of the tap mounts directly onto the floor and stands elegantly over the bath to deliver the perfectly mixed water through a single spout. This product’s extended profile boasts an elongated body, integrated diverter, slender spout, single lever control and shower handset to provide the added benefit of rinsing soap from your hair or the bath after use! Freestanding bath shower mixers are available in both modern and traditional designs to coordinate with any bathroom interior.